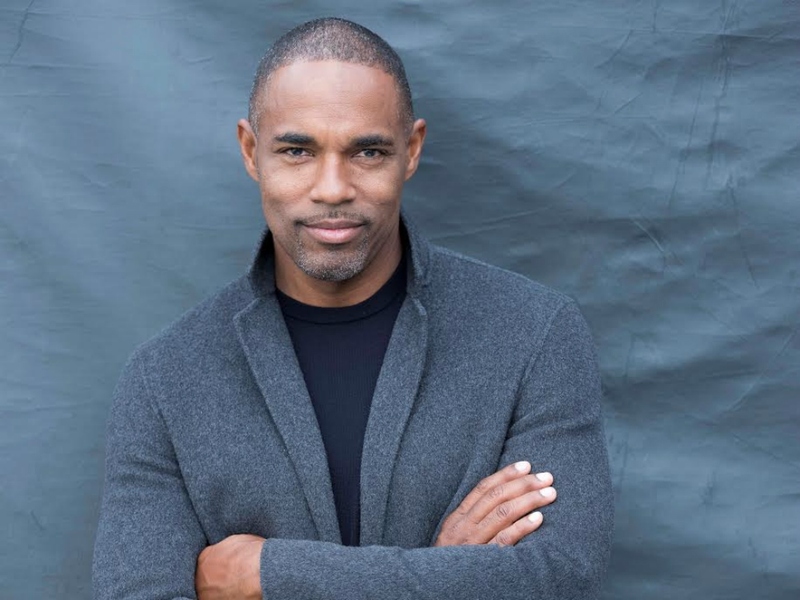 Jason George, aka Ben Warren on Grey’s Anatomy, is about to bring his ABC Grey's spinoff Station 19 into its sophomore season on October 4. And, with news of an expected crossover episode between the shows, we're betting we'll see plenty more of George and his fellow Grey's Anantomy castmates on Station 19. What can we expect to see in Station 19’s sophomore season? JASON GEORGE: We’re going to take it up a notch in terms of the drama. You’re going to see more about us as a family. We’ll be starting off right where we left off—it’s ultimately trial by fire. Characters’ lives hang in the balance and there’s some real ramifications that will last for the rest of the season. Will we see you on Grey’s Anatomy in any crossover episodes or cameos this season? JG: Most definitely! That’s what I love about this show, making the choice was very easy for me because I wasn’t giving up Grey’s Anatomy entirely. I still get to go back and play and hang with my family. The crossovers are great because we’re doing some that are full-on plotline carrying between the shows and stories. We’re also just doing some episodes where characters from Grey’s will show up on Station 19 and vice versa. For me personally, it’s one of the things I love. The Ben and Bailey relationship will have some interesting turns this season that will surprise fans and throw them for a loop. Did you receive any advice from any current or former Grey’s stars on carrying your own show or life after being on the show full-time? JG: Ellen told Jaina [Ortiz] (who plays Andy Herrera on the show) get your rest like you’re an athlete. Most of it’s about enjoying the ride and little subtle things. Chandra Wilson and I have really thought about how to make sure that even though we’re not on screen with each other every episode that our relationship is still a real presence on each show. Also, I’m a military brat and I love that it’s a love letter to the stress on the family for people of service like firefighters and police officers. The loved ones are taking one for the team. It’s stressful on families and relationships. I’ve had conversations with some friends like Sean Maguire, who is one of my oldest friends in this business. We were just talking about how the great part of this is starting from the ground up and helping to build it both on camera and behind the scenes in terms of what the atmosphere is on the set and taking it on as a responsibility. I like to think that we have a really fun and professional set. Was it hard switching from one life saving profession to another? What’s been the biggest difference you’ve noticed going from playing a doctor to a firefighter? JG: They got me sweating! We have so much respect for firefighters. They’re only there to save you. Cops can be good or bad, depending on their perspective. With doctors, sometimes people get scared of hospitals. With a firefighter, you’re in a bad situation and you just hope that they get you out. Not to mention they have 40-pound suits—50 when you throw on the oxygen tank. We’re just sweating bullets. I can drop a couple of pounds of water weight in a day without even blinking. No one is going to yell cut then the fire goes out for real firefighters. Grey’s on the other hand is really focused, it’s all about focusing on the imaging. Your actions are very precise spots, like where a scalpel is or where you’re sewing somebody’s heart together. Station 19 is big and brash and bold. The 10-year-old inside of me loves that. You spent time working in soaps like Sunset Beach. Did you learn anything about television or yourself as to what you’d like to ultimately pursue? JG: I’m always going to be an actor. I’ll die on a soundstage or in a theater. That said, I’m also a storyteller. There are a lot of stories that I’ve come across. There are stories that I’ve come across now that I want to be told but I’m busy and I can’t be in that role. I’m trying to do some things with those. I spend a lot of time fighting for diversity in our world let alone diversity in media. I chair the Diversity Advisory Committee for SAG-AFTRA. I give talks to about diversity and how it really improves the bottom line. It’s a beautiful time in television. They’re hungry for new content and that content needs to be diversified. I’m glad to be hitting the stride right now when I can try and get some of these stories I see that I think are interesting. While they may be specific, they feel universal. I loved being involved with Barbershop back in the day. I’ve had white women tell me ‘that’s my hair salon.’ I realized they just know the personal connections of people in the salon. Even though it was about black people it’s really universal. I’m really looking forward to telling some of those stories even if I’m not acting in them and wearing another hat instead. If you weren’t an actor, what would your chosen profession be instead? JG: I was supposed to be a lawyer. I had gotten tight with the Supreme Court justice of Virginia, Justice Hassell. He has since passed away, but the plan was getting good grades at the University of Virginia, where I went to school. He’d write a recommendation for me and I’d go to a great law school like the University of Virginia and then I’d clerk for him and I’d be a made man in the state of Virginia. I had my career plans laid out in front of me and then I took an acting class and it all just went to hell. Eventually, he understood that that was the right call. When I had to sign an autograph for some people in his office I think he got cool with it. I think I would be trying to do something in the legal arena that was about trying to make people’s lives better and changing the way people deal with each other. I’m still fascinated by constitutional law and I’m watching these Kavanaugh hearings with a lot of interest. I get very political and focused on a lot of issues and advocate for a lot. Gun violence is a big one for me. It’s funny in our country how many people have gotten focused on winning instead of solving a problem. If you have to win in order to solve the problem then so be it. If you’re just focused on winning then if I say yes then you have to say no even if yes is the right answer. It’s not useful or productive. I think something in that constitutional law realm is of most interest to me—if I had any useful skills, which I don’t. What’s next in terms of new projects? JG: I have a film coming up at the end of October called Indivisible. It’s funny because Sarah Drew from Grey’s Anatomy (who played April) just gave me a call and told me she had gotten involved with the film. I loved that it was a love letter to military families. It talks about how hard it is to keep a relationship and a family intact when these people are doing a service to our country. I play a soldier of color which is not the point, which is part of the point for me. My character is a major and it was an honor to do and put out there. I hope folks I know who served in the military get a good look at it. My dad was Navy and I grew up in Virginia Beach’s Hampton Roads area at the naval base there. The gypsy lifestyle of this industry makes some amount of sense to me since day one. I’ve taken a lot of pain to try and make sure my kids have stability, more stability than the average military kid. It means not taking roles sometimes, but I have been blessed with what’s still managed to come my way even though I’ve been purposely not going out of Los Angeles for a lot of stuff.